Zero-trace camera and photo platform Hidely has launched on iOS devices, giving users access to a secret gallery and secure camera for protecting their private photos. Photos taken with the app, or imported into the Hidely gallery, are protected via double encryption technology, and users must enter a passcode before ever entering the app. With Hidely, users create a passcode of at least eight characters, and must enter this code any time they’d like to view their Hidely photo gallery, take a new picture within the app, and so on. Hidely does not have access to this passcode, so users must remember it for future use. Photos taken within the app never bounce out to the device’s standard camera roll (and therefore hit a user’s photostream), so any outside eyes will never see the pictures in question. These photos are stored on the user’s device, not on a server. “expiring” image, the app creates a single-use link to share a photo, which then expires after a one-time view, or after 24 hours of its original sending time. Private links are also available that only allows users to view images within Hidely. 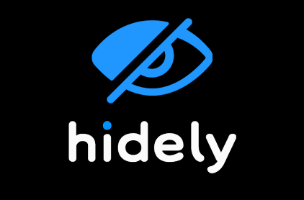 Hidely is available to download for free on the iTunes App Store.